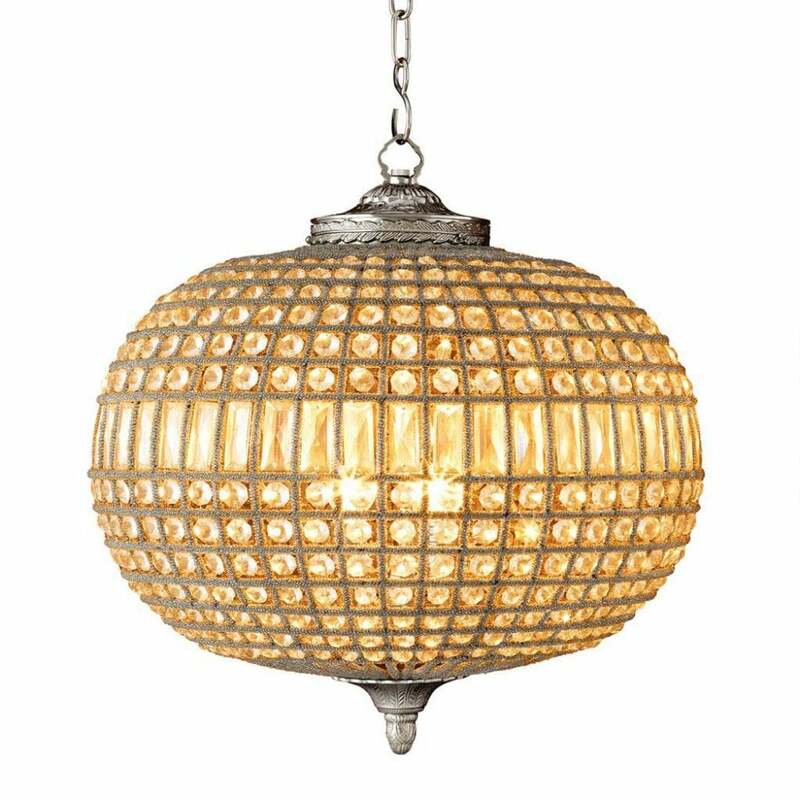 Bring glamour to your interior with the medium oval Kasbah Chandelier by Eichholtz. The ornate metal frame is faceted with hundreds of beautiful glass crystals creating a classic design with a middle-eastern feel. Finished in either an antique brass or shiny nickel hue, this light can be hung at varying heights due to the adjustable cable. Combine with other sizes in the Kasbah range to create a bespoke display that creates a statement within a hallway or living space. Make an enquiry for more information.